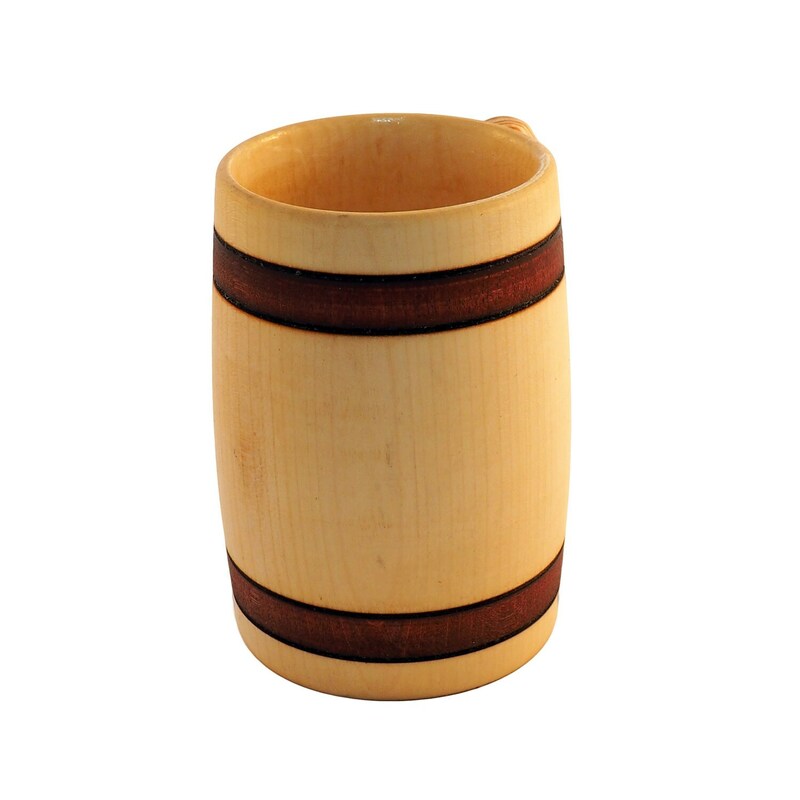 This hand carved beer mug is handcrafted from birch wood. It will be handcrafted with a personalized design of your choice. 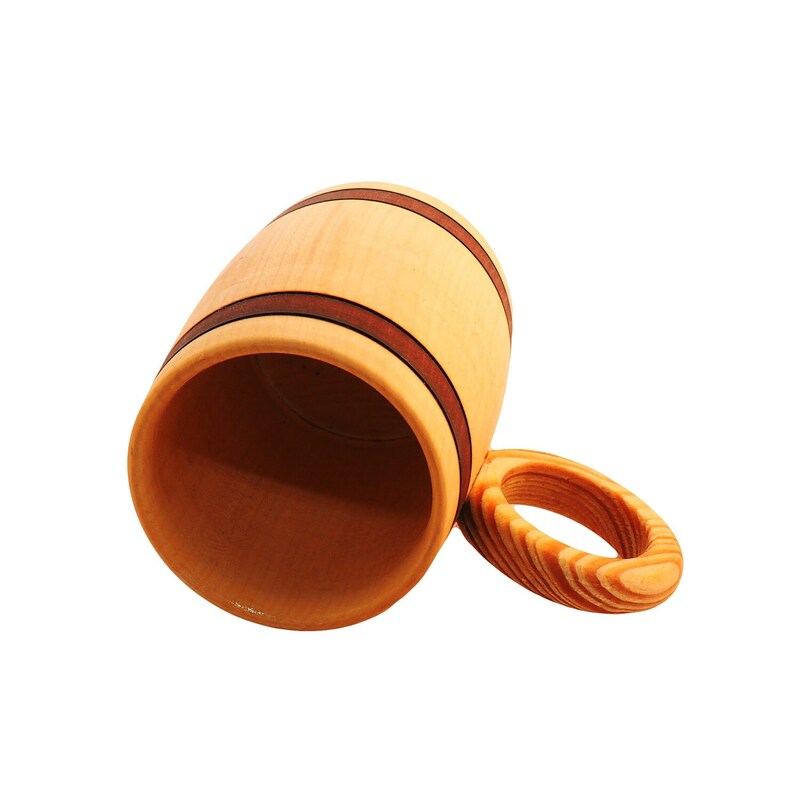 It is a replica of original beer mugs used in medieval Europe. This mug is outside finished with bee wax and linen oil and inside with glass. 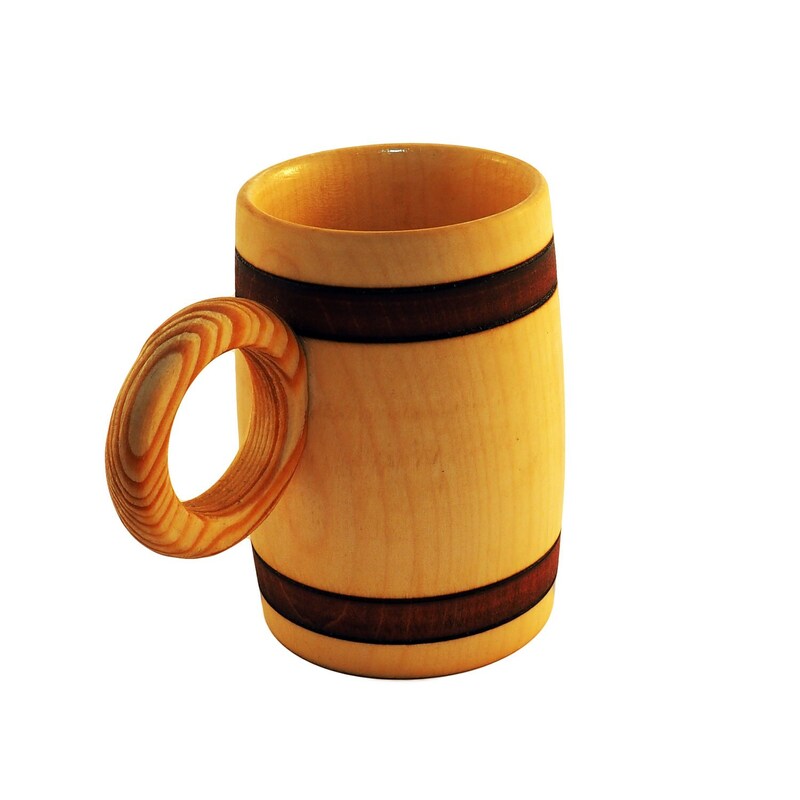 You can use it for all kinds of drink, including soda. 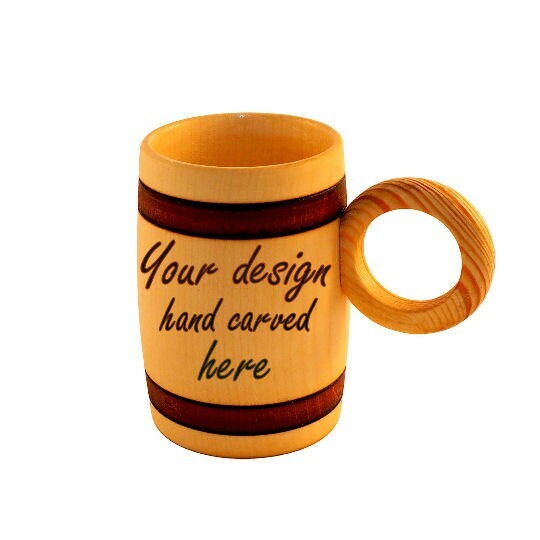 Height: 12.5 cm - 5"
Diameter: 8 cm - 3 1/4"
Maximum design height: 6.5 cm - 2 1/2"
PLEASE NOTE THAT DUE TO THE SMALL SIZE OF THE MUG NOT ALL DESIGNS ARE POSSIBLE. THE SURFACE FOR CARVING IS 2 1/2" TALL!